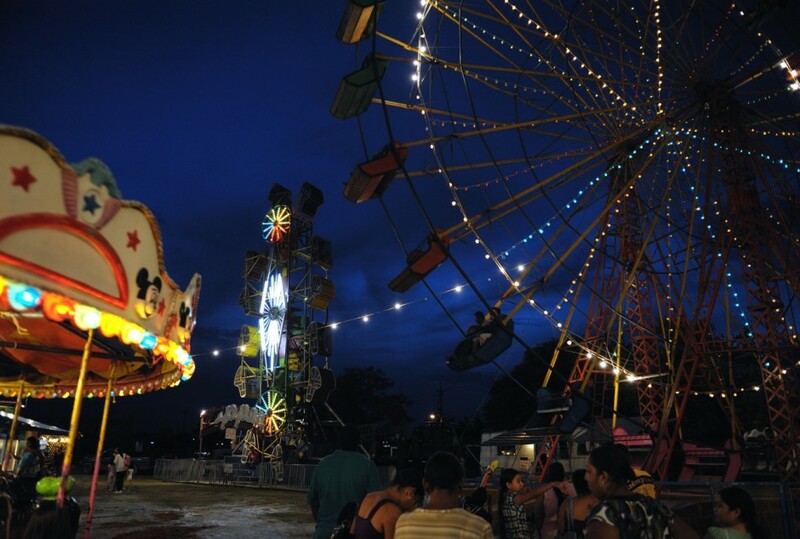 Road Warrior Lily Girma documents the vibrancy and culture of Belize’s summer festivals, from the town fair in Orange Walk to the Costa Maya Festival on Ambergris Caye. I STOOD OUT AS A NEWCOMER IN ORANGE WALK by showing up to the town fair promptly at the “start time” of 5:00 pm. Hours later one of the locals took me under his wing, showing me around the different gambling events and food vendors. Another invited me to sit with his family and taste their homemade tamales and tacos. I almost wanted to try the amusement rides, but I just didn’t want to risk feeling nauseous while carrying expensive camera gear. And it was just as fun watching the kids and families having a blast. In San Pedro I showed up two hours after start time and blended right in. There were cultural dances on stage – everything from Latin to African-inspired performances – and a beauty pageant. 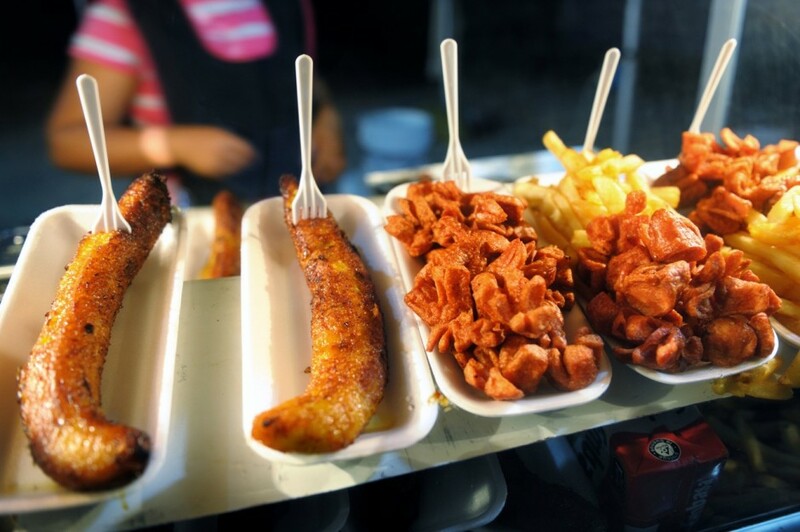 When I wasn’t shooting, I walked around the stadium, sampling street food such as pupusas and churros. My favorite day so far was the free beach party in San Pedro. It closed out the Costa Maya Festival with live folk music and lots of dancing barefoot in the sand. I’m looking forward to more festivals this month of September, with Belize celebrating its annual Carnival and its 30th Independence. Maybe I’ll finally stay till the end for one of those events, because so far I haven’t been able to keep up with the all-night partying; the latest I’ve stayed was midnight. But the fiestas can go on until 3 or 4am. Miss Panama, Marielena Gonzalez, competing for "Reina de la Costa Maya" at the annual three-day Costa Maya Festival in San Pedro, Ambergris Caye. 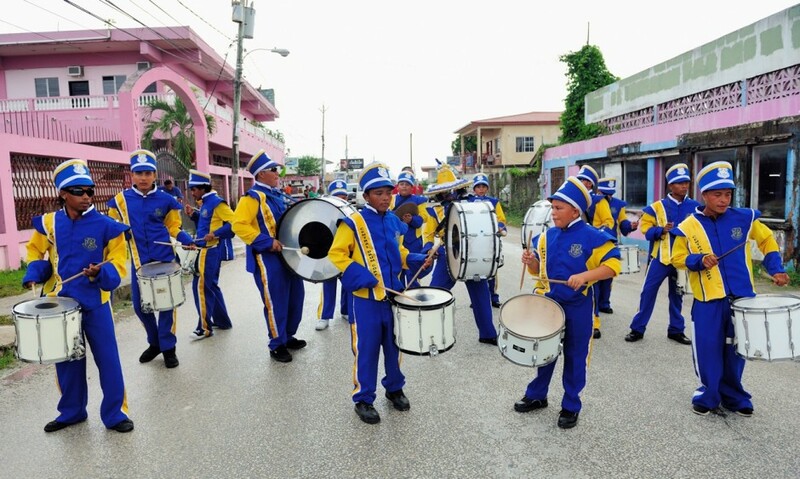 Marching bands passing through town during Orange Walk to promote the weekend's annual Fiestarama. 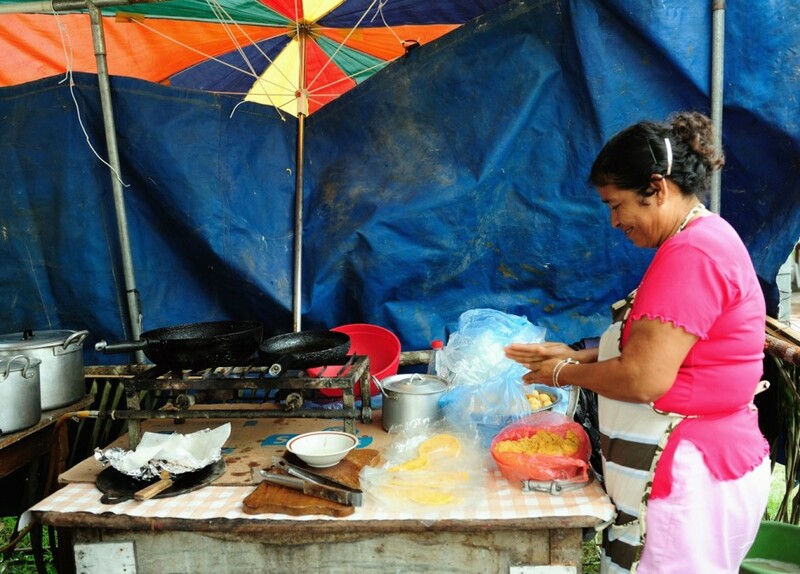 Homemade Belizean and other Latin food stands at the Orange Walk Fiestarama. 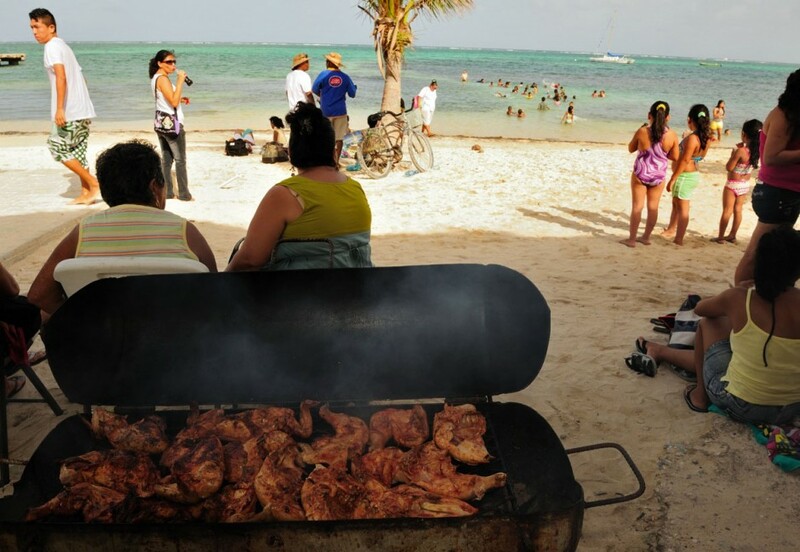 Latin and Caribbean street foods at the Costa Maya Festival in San Pedro. 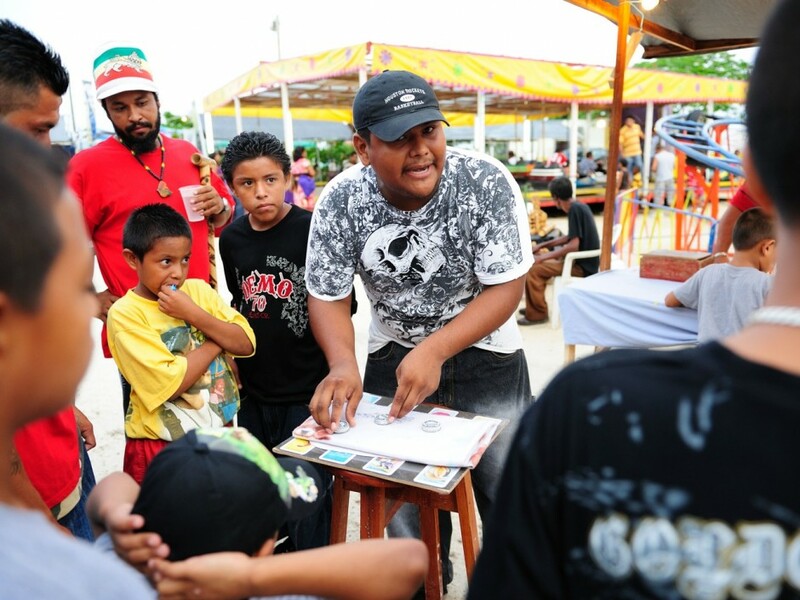 Children's games at the Costa Maya Festival in San Pedro. 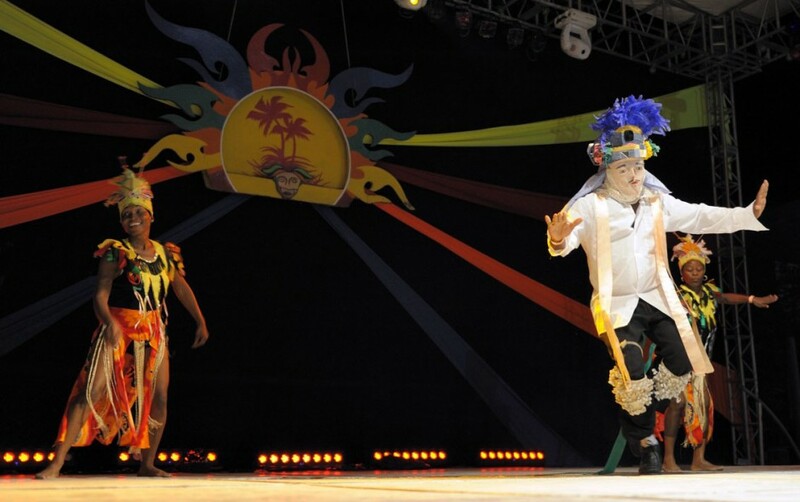 The Belize Dance Company performing at the Costa Maya Festival. 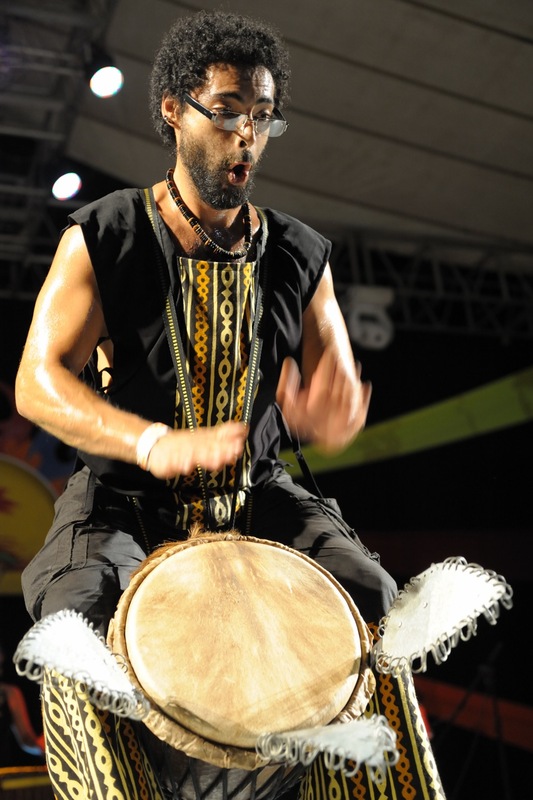 The drummer of Grupo Kese-Kese, a group from Mexico playing African-inspired music, at the Costa Maya Festival in San Pedro. 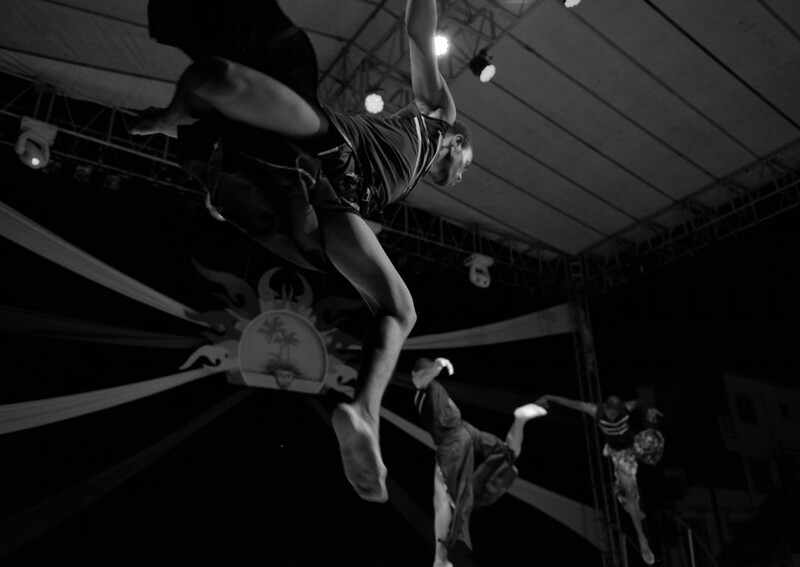 The San Pedro Dance Company performing at the annual Costa Maya Festival in San Pedro. El Group Crash, from El Salvador, at the Costa Maya Festival in San Pedro. 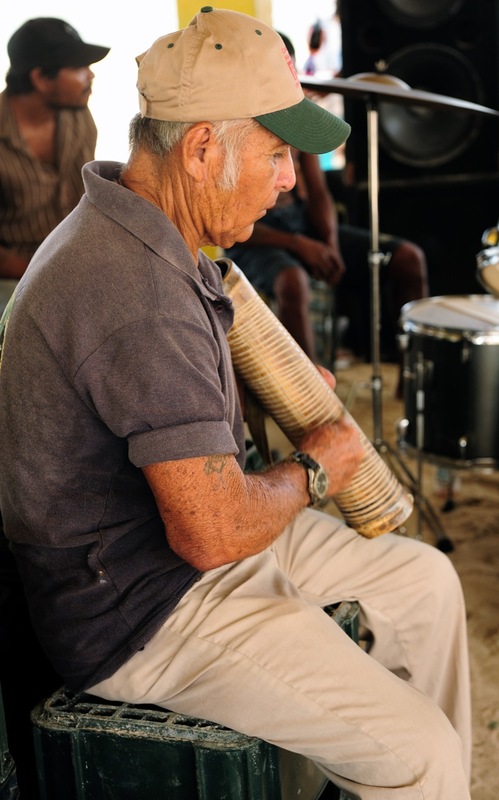 Folk music at the beach in San Pedro, Ambergris Caye. Beach party on the last day of the Costa Maya Festival in San Pedro. 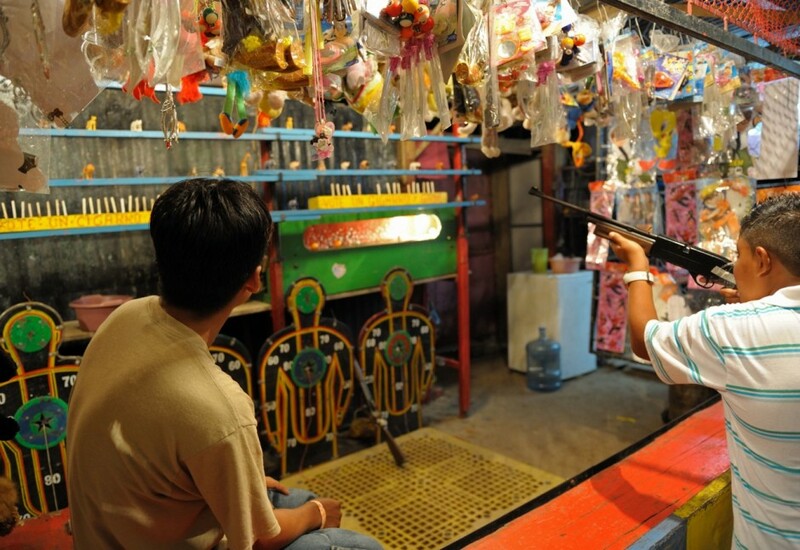 Amusement rides for families are a common sight at the town fairs. Here, at Orange Walk's Fiestarama.